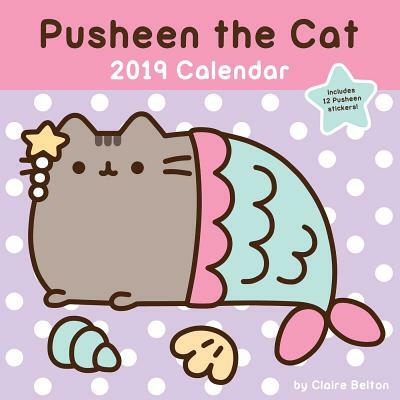 Decorate your dorm room, kitchen, craft room, or office with this calendar, a must-have for Pusheen fans, featuring a different illustration each month and plenty of space on the grid to add birthdays and reminders. It includes a spread for September through December 2018, so you don't have to wait for the new year to use it. Just like everything else Pusheen, it's soooo cute . . . . and, OMG, you NEED it!